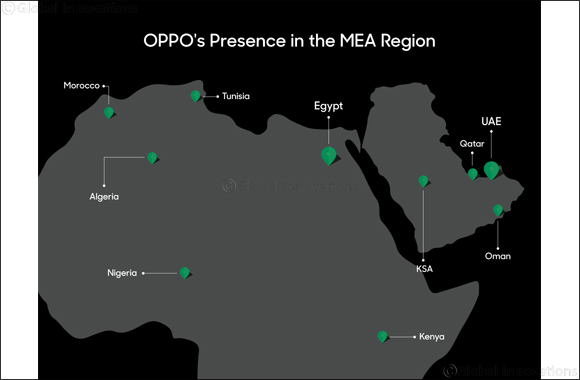 January 29th 2019, Dubai, United Arab Emirates: OPPO, a global smartphone brand, has opened its second regional hub within the UAE and will make Dubai its new center for operations in the Middle East and Africa (MEA) region. This is the brand’s latest move in the region after announcing its plan of launching the R17 Se-ries in Saudi Arabia earlier this month which will also be the first time OPPO launches its mid to high end R series in the region. The opening is part of OPPO’s global growth strategy and recognizes Dubai’s unique position as a regional nexus for business and technology innovation. Rapid growth is something that OPPO has become quite familiar with. Over 200 mil-lion consumers around the world now use OPPO smartphones, and the company is consistently ranked as a top five smartphone brand globally by market intelligence firm IDC. OPPO has expanded its smartphone business to over 30 countries and re-gions, covering Asia, Oceania, the Middle East, Africa, and Europe, providing prod-ucts and services at over 400,000 points of sale. The company first began offering products to consumers in select Middle East markets in 2015, later setting up a re-gional sales office in Cairo, Egypt, in 2016. In Egypt, OPPO has been ranked the top three smartphone brand and is enjoyed by youth across the country. In addition to bringing advanced smartphone technology to the UAE, the company will contribute to local employment and promote innovation in line with the UAE Vi-sion 2021. Preparing for the next era of smartphone connectivity, OPPO has focused on ramp-ing up its development of 5G-compatible smartphones over the last year. Gulf nations have already started to test 5G broadband networks with the first 5G smartphones expected to be revealed in 2019. OPPO has also recently introduced other revolutionary technology features, such as a 10x lossless optical zoom camera on a smartphone. Market intelligence firm IDC noted that smartphone shipments to GCC countries were on the rise as of Q3 2018 , contrasting to a global slowdown of the market in 2018. The firm predicts that the global smartphone market will return to growth in 2019 and continue to expand through 2022 .